Author Elif Shafak reviews a new film about the poet Neruda, Batman to Broadchurch - the challenge of casting on screen, Magnus Mills on his new novel The Forensic Records Society. 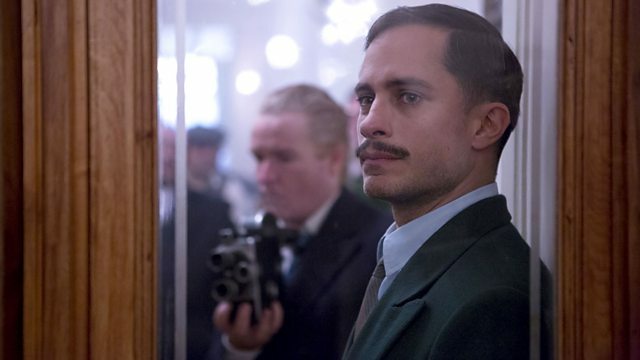 Author Elif Shafak reviews Neruda, the new film about the Chilean poet and communist by director Pablo Larraín. We discuss the alchemic art of casting on screen with the casting directors Lucinda Syson, who has cast Hollywood blockbusters including Gravity, Batman Begins and the new Wonder Woman, and Victor Jenkins, who was responsible for pairing Olivia Colman and David Tennant in Broadchurch as well as working on Humans, Episodes and Grantchester. Busdriver Magnus Mills shot to fame in 1999 when his debut novel The Restraint of Beasts was shortlisted for the Booker Prize, but despite plaudits from the literary world such as Thomas Pynchon, he returned to his day job and continues to write. He talks about his latest novel The Forensic Records Society, about a small group of blokes who meet in the backroom of pub every week to listen, in piously enforced silence, to their vinyl collections. Neruda is in UK cinemas from 07 April 2017, certificate 15. Magnus Mills' book, The Forensic Record Society is out on 06 April 2017, in hardback and as an eBook.